From London to Madrid, D.C to Hong Kong, every zoo that hosts a panda actually rents them from China. So what are the actual costs for renting Giant Pandas? 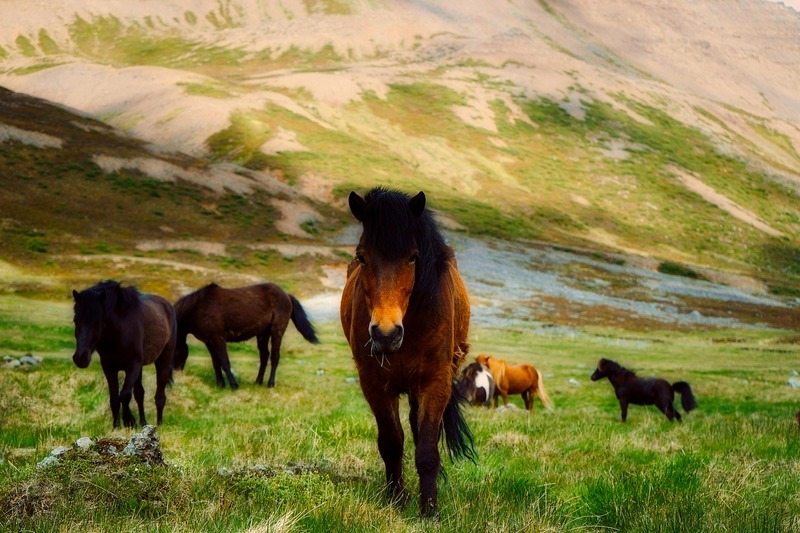 We regard them as cute and cuddly and one of China’s most iconic beings. But today, Giant Pandas aren’t just a symbol of China, they are a major diplomatic tool and the face of wildlife conservation worldwide. Even the WWF (World Wildlife Fund For Nature) uses the panda bear on its logo. This entry was posted in Panda Information and tagged can you own a giant panda, giant panda, giant panda conservation, giant panda history, giant panda research and breeding, history of the giant panda, owning giant pandas, panda facts, renting giant pandas, see giant pandas, visit giant panda on December 25, 2017 by Roselyn Onuche. Although they may not be as popular as Giant Pandas, Red Pandas matter too. As an animal lover, you probably already know so much about the unique black-and-white bear that has captured the hearts of many worldwide; the Giant Panda. But what about an equally adorable and closely named species, the Red Panda (Ailurus Fulgens)? 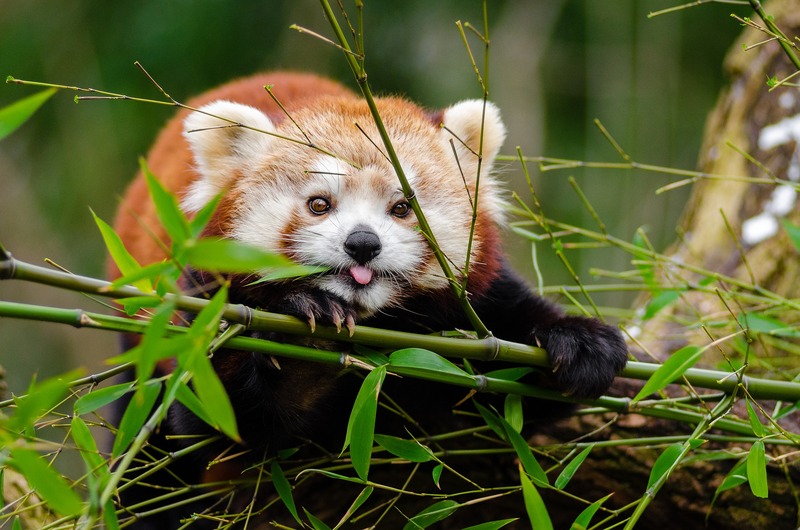 Red pandas are a species native to parts of the eastern Himalayas in Nepal, India, Bhutan, and Myanmar. Another subspecies is called the Ailurus Fulgens Refulgens and lives in western China. This entry was posted in Panda Information and tagged facts about pandas, giant panda, giant panda conservation, panda facts, red panda, red panda conservation, red panda endangered, red pandas matter on December 9, 2017 by Roselyn Onuche. Here are some more ideas and creative inspiration for your next Panda Tattoo. 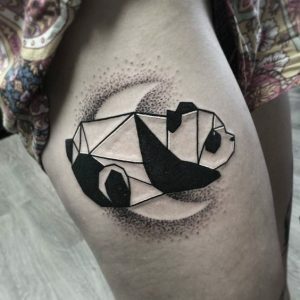 Sometime back you brought you a rundown of 25 of the most popular panda tattoo designs from around the world. This time, we’re bringing you another list with even more awesome ideas and inspiration for panda tattoos. And remember, whatever your taste; bold, edgy, and grandiose to simple, or subtle, we have something for everyone. This entry was posted in Panda Information and tagged giant panda tattoos, red panda tattoo, red panda tattoos on November 25, 2017 by Roselyn Onuche. It took some time to properly classify the panda as a bear. But even then, there are still some differences between Giant Pandas and other bears. Humans have a particularly interesting trait, we really like to classify things neatly and avoid confusion. But if there’s one creature that caused some confusion for a while, it’s the Giant Panda. This creature shares similarities with two distinct group of animals; the bears and the raccoon. This entry was posted in Panda Information and tagged differences between giant pandas and other bears, giant panda, giant panda history, history of the giant panda, is the giant panda a bear, panda facts on November 22, 2017 by Roselyn Onuche. Have you ever wondered why Giant Pandas are colored black and white? A team of scientists may have a plausible explanation. The mystery surrounding the Giant Panda’s unique skin coloring has evaded scientists for a long time. 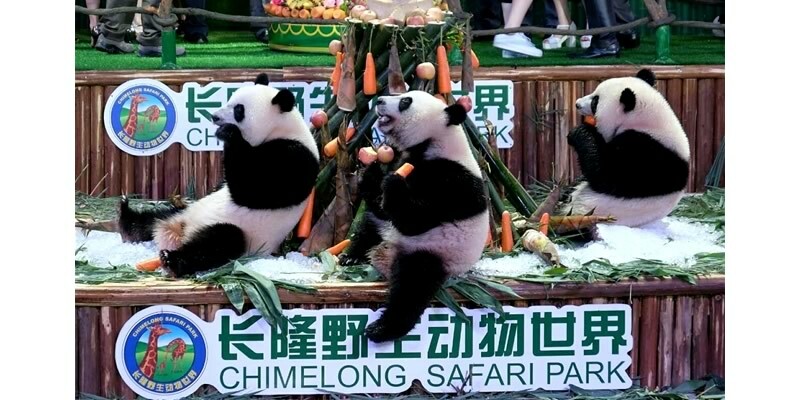 Up until recently, there were several unproven explanations as to the reason for that unique black and white coloring of the panda bear. But it appears a team of scientists from the University of California may have a plausible explanation. This entry was posted in Panda Information and tagged giant panda, giant panda coloration, giant panda conservation, history of the giant panda, panda facts, why are giant pandas black and white on November 19, 2017 by Roselyn Onuche. Despite having the potential to be as fierce as other bears, Giant Pandas spend most of their day eating bamboo and sleeping. Why? We all love Pandas. They look like huge teddy bears with lots of fur, sad black eyes, and a weird lifestyle. But many would be amazed to know that they are of the same lineage as the more ferocious bears that easily hunt and prey on meat. This entry was posted in Panda Information and tagged facts about pandas, giant panda, giant panda history, giant pandas and bamboo, history of the giant panda, panda bite force, panda facts, why do giant pandas eat so much bamboo on November 15, 2017 by Roselyn Onuche. 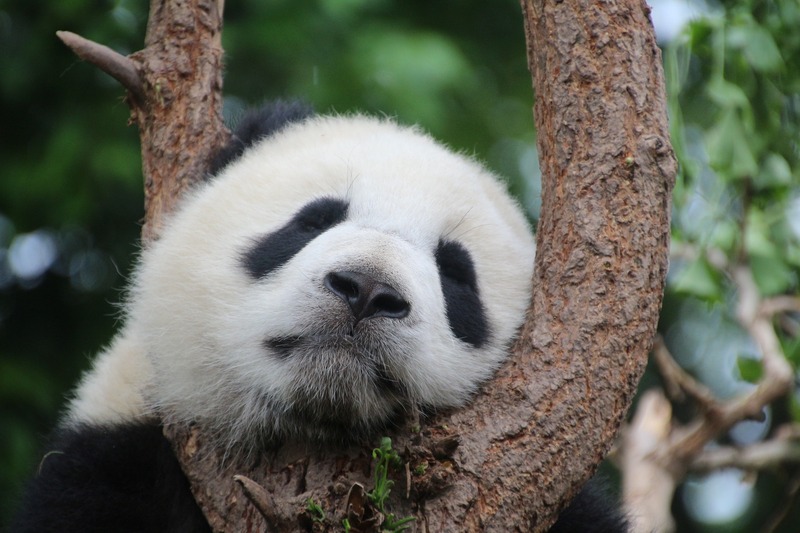 Do Giant Pandas Hibernate Or Not? 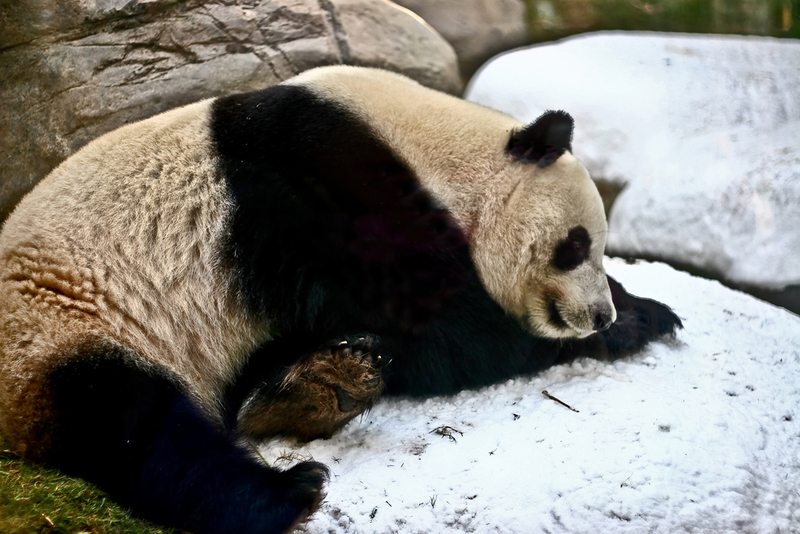 Everybody knows bears like to sleep in winter, but do Giant Pandas Hibernate or not? Giant pandas are one of the most well-known species in the world with just about 2,000 of them alive today. 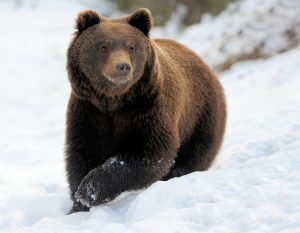 These bears have been the subject of much debate and one issue in particular is that of hibernation. This entry was posted in Panda Information and tagged can giant pandas hibernate, do giant pandas hibernate, giant panda, giant panda conservation, panda facts on November 11, 2017 by Roselyn Onuche. Giant Pandas are fast replacing the dragon as the symbol of China to Westerners. Stuffed Pandas At The San Diego Zoo. Giant Pandas – also known simply as pandas or panda bears – are ubiquitous in modern popular culture. 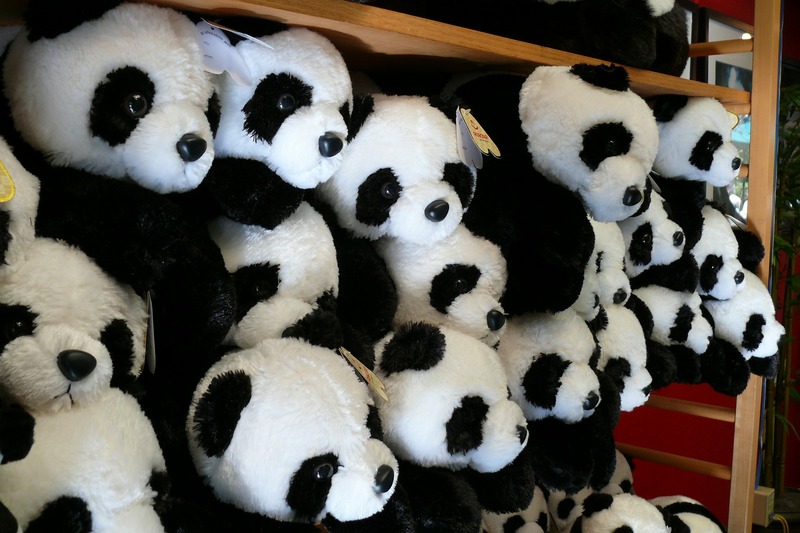 Think panda plushies, strollers, accessories, murals, bags, or toys; they are everywhere you can think of. This animal is also one of the first things people think of when considering the wildlife of China. In the eyes of the rest of the world, pandas are fast replacing the dragon as the symbol of China. This entry was posted in Panda Information and tagged conservation status of the giant panda, giant panda, giant panda conservation, giant panda endangered, history of the giant panda, see giant pandas on November 8, 2017 by Roselyn Onuche. 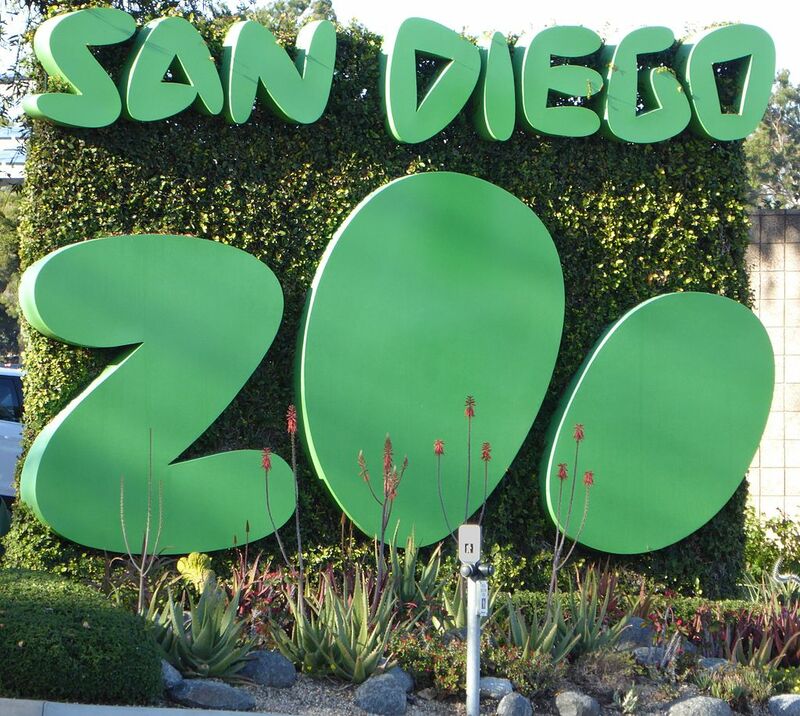 Below are 10 additional zoos to see Giant Pandas as well as those that just got pandas this year. 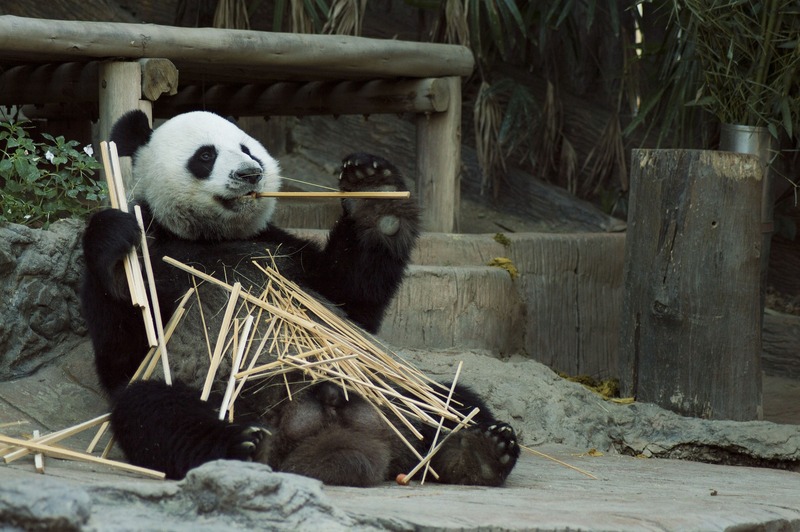 Some time back, we compiled a list of the best places to see giant pandas worldwide. This entry was posted in Panda Information and tagged giant panda triplet cubs, new zoos to see giant pandas, see giant pandas on November 5, 2017 by Roselyn Onuche.